“The Power of Yes…Men” – When Cooper helps Jake prepare for a big work presentation, they both realize that everyone always agrees with Cooper only because he is famous. 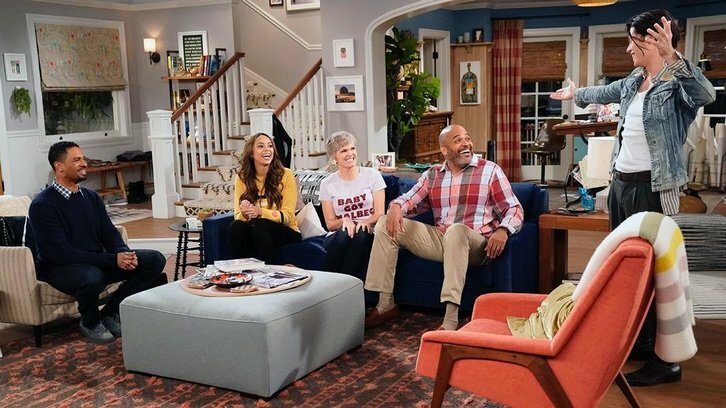 Jake asks Claire for the same kind of encouragement, while Cooper decides to seek out more honest opinions of his work, on HAPPY TOGETHER, Monday, Dec. 3 (8:30-9:00 PM, ET/PT) on the CBS Television Network. Eve, Sara Gilbert, Sharon Osbourne and Sheryl Underwood make a special appearance when Cooper goes on THE TALK.